Welcome to the Big Easy! When I was a police officer and prosecutor in New Orleans, the city was affectionately called the “Big Sleazy.” While things have dramatically improved since the 1980’s, fraud remains a big problem. In particular, New Orleans Medicare fraud seems to be growing worse. The U.S. Department of Health and Human Services claims New Orleans has one of the highest rates of Medicare fraud in the nation. The nations worst healthcare fraud occurs in Miami, Houston, Detroit, Philadelphia and Chicago. 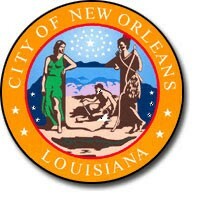 New Orleans is a much smaller city post Hurricane Katrina. While overall Medicare numbers in New Orleans is lower than that of bigger cities, the percentage of healthcare dollars lost to fraud remains high. When the Justice Department and FBI did a nationwide Medicare fraud sweep in June of 2015, $110 million of the total $712 million in alleged false billings ccme from the New Orleans. This post is directed to New Orleans Medicare fraud but fraud and corruption are everywhere in New Orleans. Crooked politicians, defense contractors and folks in the construction trades… many people have their hands out. Bribes have unfortunately become a cost of doing business in some industries. Healthcare included. City residents deserve better. Every Medicare or Medicaid dollar that lines the pocket of a dishonest physician or clinic owner is a dollar from our pockets (these programs are taxpayer funded) and a dollar that doesn’t go to help someone who is truly sick and needy. Medicaid fraud is one of many reasons that poverty remains so high in New Orleans. San Francisco has a poverty rate of 13.5%. Ditto for Seattle. The Louisiana Budget Project reports that Louisiana has the third highest poverty rate in the nation. Poverty is even higher in New Orleans; estimates peg that number between 27% and 30%. Healthcare dollars are fixed. There isn’t enough money to timely treat every patient. Taking healthcare dollars away from patients just perpetuates the city’s huge poverty problems. In this post we will examine some recent New Orleans Medicare fraud prosecutions. Check back often as content is constantly refreshed. We cover Medicaid fraud too. Included is the story of a “pill mill” doctor who just pleaded guilty to dispensing millions of dangerous narcotics to virtually anyone who walked through the door and had cash. First, let’s discuss how you can fight back and earn large cash awards for doing so. Medicare fraud is a national problem. The FBI calls it an epidemic costing taxpayers $80 billion per year. While government auditors catch some fraudsters, many more are caught because of whistleblowers. Healthcare fraud takes place in many different ways. Common schemes include billing fraud, the use of patient recruiters, kickbacks, lack of medical necessity and even billing for services never provided. Under the federal False Claims Act, Medicare fraud whistleblowers can receive up to 30% of whatever monies are recovered by the federal government. Many states have similar healthcare fraud laws that pay can pay whistleblower awards in Medicaid fraud cases. In Louisiana, the Louisiana Medical Assistance Programs Integrity Law pays cash awards to insiders with information about Medicaid, Bayou Care and Healthy Louisiana benefits fraud. Unfortunately, most whistleblowers don’t know about these False Claims Act award programs and the precise rules that must be followed to collect an award. Instead, many whistleblowers use the Medicare fraud hotline to report fraud. While all whistleblowers should be commended for stepping forward, calling the hotline will generally just get you a $1000 reward. Filing a claim under the False Claims Act can generate millions, however. Are Million Dollar Medicare Fraud Whistleblower Awards “Real”? Each year the federal government hands out hundreds of millions of dollars in awards under the False Claims Act program. The awards are real but picking up the Medicare fraud hotline won’t get you those big awards. To claim an award under the False Claims Act, one must have original source (inside) information about fraud and file a sealed complaint in a federal court. Not ready to file but still interested in learning more? Visit our Medicare fraud information page, our Louisiana whistleblower page or simply call us. There is never a fee for a consultation. If we are able to help, our services are offered on a contingent fee basis meaning you owe us no fees or costs unless you win. On March 28th, 2018, 63-year-old Sandra Parkman was sentenced to 32 months in prison for her role in a $3.2 million Medicare fraud and kickback scheme. She was convicted of conspiracy to commit health care fraud, conspiracy to pay and receive health care kickbacks, two counts of health care fraud and five counts of receiving health care kickbacks. The convictions came as the result of a three day trial in November of 2017. Prosecutors say that from 2004 to 2009, Parkman and others engaged in a Medicare fraud scheme by suppling medically unnecessary durable medical equipment, including power wheelchairs, to Medicare beneficiaries in and around New Orleans. The evidence showed that Parkman received kickback payments from a co-defendant who was the owner of an equipment supply company. As a result of the scheme, Parkman received more than $47,000 in kickback payments. The owner of the equipment store received over $3.2 million. The owner of the equipment company, Tracy Brown, was previously convicted following a trial in August 2016, and was sentenced to 80 months in prison. We first reported this story in March of 2015. Lisa Crinel, a former Zulu Queen and a prominent African American businesswoman was indicted for Medicare fraud. Prosecutors claimed she participated in a $30 million Medicare fraud scheme. To be the queen or king of a major krewe is one of the highest honors in New Orleans society. In 2015, Crinel was both a former Zulu queen and the owner of Abide Home Health Services. Working for Crinel was another former Zulu Queen, Sheila Mathieu. Mathieu, who is also the son of NFL player Tyrann Mathieu, was also indicted. Prosecutors also claimed that Crinel committed wire fraud by falsely trying to obtain funds from the BP Deepwater Horizon program. The charges against the two Zulu queens were part of a larger grand jury investigation that brought charges against 21 healthcare providers. The common thread in all the charges were that Medicare was being billed for services that were either not medically necessary or were never provided. On September 21, 2017, Crinel was sentenced to 6 years and 8 months in federal prison. She was also ordered to pay over $16 million in restitution. Crinel pleaded guilty in October 2015 but her sentencing was delayed for almost 2 years. As part of her plea deal, she agreed to testify against others involved in the scheme. Three nurses affiliated with Crinel and Abide were sentenced in August for their roles in the New Orleans Medicare fraud scandal. The sentences ranged from probation (former Zulu Queen Sheila Mathieu and Sheila Hopkins) to 14 months prison (Rhonda Maberry). In May, four physicians and two others were convicted for their roles in the Abide case. Prosecutors claimed the doctors were signing orders for home healthcare services for patients that “had no legitimate necessity.” Those convicted included Drs Henry Evans, Michael Jones, Shelton Barnes and Gregory Molden. Dr. Jones’ wife, Paula Jones, was also convicted. Prosecutors claimed that to better disguise kickbacks coming from Abide and Crinel to Dr. Michael Jones, Paula Jones was hired at an inflated salary. Anyone examining Abide’s books would see a salary expense instead of payments for fraudulently certified documents. Opioid overdoses are becoming a leading cause of death in the United States. The problem has become so bad that overdoses have actually caused the average life expectancy to decrease in many areas of he country. Overdoses can be prevented but doctors that dispense narcotics to patients without need only make the problem worse. The case against Dr. Floyd began in 2014 when DEA agents began using informants to pose as patients. Court records indicate that Dr. Floyd was seeing patients at a clinic he owned, St. Ignatious Loyola Health Clinic, and at a separate clinic, Bullard Medical Center. Bullard was once known as NOLA Urgent Care. Both businesses were operated as “cash only” pain management clinics. Prosecutors say Floyd was dispensing oxycodone, hydromorphone, morphine and even highly dangerous fentanyl to patients who had no medical need. Often he would not even conduct exams of his patients. Patients were even allowed to “suggest” the drugs they wanted. Drivers would shuttle patients in if they had no transportation. In September of 2017, 58 year old Frederick Floyd MD pleaded guilty to dispensing over 1 million doses of oxycodone to patients who didn’t need the drug. He reportedly took cash for the drugs. Because of the drugs involved, Floyd faces a minimum mandatory 10 years in prison. He is being held without bail pending sentencing. On the heels of the Abide indictments came another New Orleans Medicare fraud scam, this one also tied to home care services. Two physicians associated with a company called Christian Home Health Care, Inc. were among several people indicted. According to court documents, Elaine Davis (owner of Christian Home Health) and the two physicians, Pramela Ganji, M.D., and Godwin Ogboukiri, M.D., falsely claimed that thousands of Medicare recipients in and around New Orleans were in need of home health care services. Between 2007 and 2015, Christian submitted more than $33.2 million in claims for home health care services to Medicare, the vast majority of which were fraudulent. In order to be reimbursed by Medicare, home healthcare services must be medically necessary and approved by a physician. Prosecutors say that Doctors Ganji and Ogboukiri falsely assisted Davis and her company by providing the false medical necessity documents. Like many blatant Medicare fraud schemes, prosecutors say that Davis and Christian Home Health Care relied on a system of patient recruiters, people that are frequently paid in cash to find Medicare eligible patients or obtain Medicare billing ID numbers. The trio are charged with five counts of federal Medicare fraud and conspiracy to commit healthcare fraud, all felonies. After a trial, a jury acquitted Dr. Ogboukiri in 2016. Dr. Ganji and Elaine Davis were convicted of some of the healthcare fraud cases. Both have appealed. Prior to the appeal, a federal judge in New Orleans sentenced Ganji to 72 months and Davis to 96 months. Dr. Ganji was also ordered to pay $5,048,518.00. In June, 2015 a Louisiana federal grand jury indicted for Dr. Rodney Hesson and others for a New Orleans Medicare fraud scheme involving psychological testing in nursing homes. Dr. Hesson was the owner of several businesses named Nursing Home Psychological Service. Also indicted was Gertrude Parker, owner of several businesses named Psychological Care Services. The feds claimed they were kingpins in a $25 million psychological testing scheme carried out through eight companies in four states. The indictment alleges that these companies contracted with nursing homes to allow clinical psychologists to administer psychological tests to nursing home residents. Dr. Hesson and Ms. Parker caused the companies to bill Medicare for psychological testing services that these nursing home residents did not need or did not receive. Between 2009 and 2015, companies involving the pair submitted over $25.2 million in claims to Medicare, a significant amount of these claims being fraudulent. After a trial held in early January, both were convicted. Dr. Hesson was sentenced to 15 years in prison. When released, he is ordered to repay taxpayers $13,800, 553. Ms. Parker was sentenced to 7 years in prison and ordered to pay $7,313,379. Geoffrey Ricketts, Marla Ricketts, Sunyup Kim and Samuel Kim were indicted for their participation in a $38 million fraud scheme involving the distribution of “talking glucose meters” that were not medically needed and were often not even requested. Court documents allege that the defendants paid kickbacks to workers at call centers in California and South Carolina. There operators would cold-call Medicare recipients to convince them to accept talking glucose meters and related supplies. From 2007 through 2015, the defendants caused more than $38.2 million in claims to be submitted to Medicare virtually all of which were fraudulent. All four pleaded guilty in October 2016. Sunyup Kim was sentenced on September 7, 2017 to prison for one year and one day. Under federal sentencing guidelines, a sentence of year or less must be served in full. Sentences of over one year allow the prisoner to accrue “good time” credits. Generally those allow one to reduce a sentence by up to 15%. That means a sentence of a year and a day is significantly less than a one year sentence. A federal grand jury for the Eastern District of Louisiana charged Sheila White with Medicare fraud in connection with the alleged provision of psychotherapy services to Medicare beneficiaries. The indictment alleges that White fraudulently billed Medicare for psychotherapy services claimed to be provided at Brandye’s House of New Orleans, a company she operated. The indictment further alleges that White used the Medicare provider number of a licensed clinical social worker who did not work for Brandye’s House, without lawful authority. Between 2011 and 2015, Brandye’s House allegedly submitted over $1.8 million in claims to Medicare, virtually all of which were fraudulent. In 2017, White negotiated a plea agreement with prosecutors and pleaded guilty to a single count of healthcare fraud. She was sentenced on September 21, 2017 to 30 months in prison and restitution of $794,914. Louella Givens was charged by criminal complaint for a fraud scheme carried out through two companies — Maxima Home Health Services (Maxima), and House Call Home Health Care (House Call). The complaint alleges that Givens caused Maxima and House Call to submit claims for home health services to Medicare beneficiaries in and around New Orleans. The complaint alleges that a vast majority of these services were not medically necessary and/or not provided. From 2008 through 2014, Maxima and House Call submitted claims to Medicare amounting to more than $12.2 million, the vast majority of which were fraudulent. In August of 2017, Louella Givens entered into a plea agreement with the Justice Department. Part of the agreement is sealed. Often a sealed agreement means that the defendant is cooperating with authorities on other cases. Sentencing is scheduled for November, 2017 unless continued by the court.